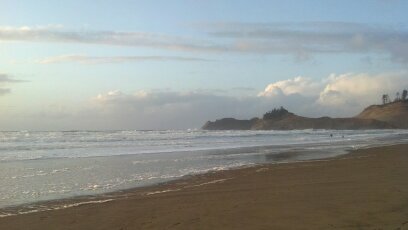 One of my favorite places is the Oregon Coast. Looking foward to doing some camping and hiking this weekend. Here are some photos from past visits. Enjoy and happy Friday everyone! Growing up on Long Island means being surrounded by water and possibly taking that for granted. 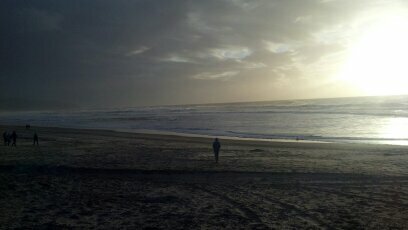 Upon moving to Oregon in 1990 I immediately felt the need to be able to visit the ocean. 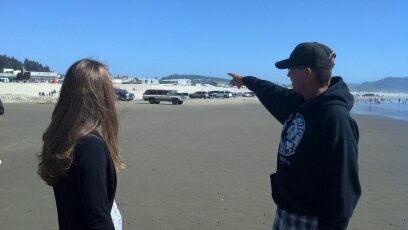 I was thrilled to know that the coast was about an hour away from most cities in the Willamette Valley. 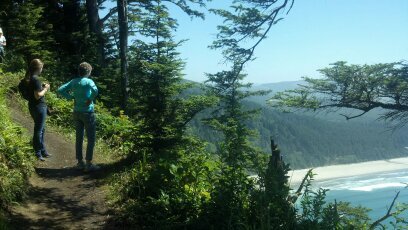 Unlike Long Island, which is flat as a pancake, many parts of the Oregon Coast border on rolling hills and mountains. 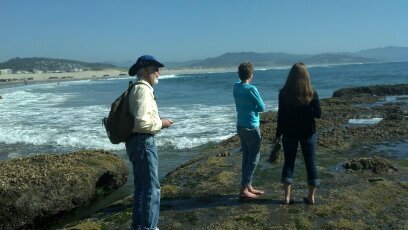 Last summer, my family came for a visit and we were able to share with them a visit to one of our favorite beaches, Cape Kiwanda near Pacific CIty. 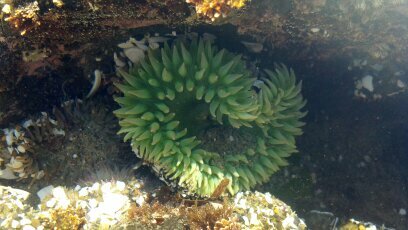 There are lovely tide pools filled with critters like this giant green sea anemone. Today I am grateful for my husband, who loves to travel with me and is very patient while tend to some writing. Oh, that looks abso-smufly lovely! I remember driving through Oregon on a road trip from Seattle to San Diego. We camped at the Oregon Sand Dunes National Park. What a magnificent experience and view. You’re welcome Erik. I camped at the Oregon Dunes the summer after moving out here. I specifically was seeking out super sandy beaches, feeling a bit home sick perhaps. Now, I don’t feek as compelled to do that. There are perhaps no limits to beauty that we can enjoy.